Trans Australia Airlines or TAA, (renamed Australian Airlines in 1986) was one of the two major Australian domestic airlines between its inception in 1946 and its sale to Qantas in May 1996. During that period TAA played a major part in the development of the Australian air transport industry. The establishment of TAA broke the domestic air transport monopoly of ANA (Australian National Airways) in the late 1940s, and taking over the Queensland air network from Qantas. 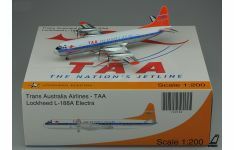 Trans Australia Airlines (TAA) Lockheed L-188 Electra, named "John Eyre" in "1950's" colours, brough..
Trans Australia Airlines (TAA) Vickers Viscount 816, named "John Gould" in "1950&#..
** PRE-ORDER - ETA ~ TO BE CONFIRMED ** Product Description: Airline: Trans Aust.. 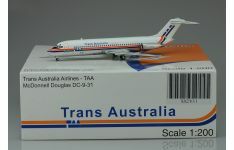 Product Description: Airline: Trans Australia Airlines (TAA) / Sunbird Services Aircr.. 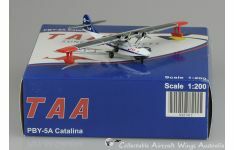 Product Description: Airline: Trans Australia Airlines (TAA) Aircraft Type: Boei.. 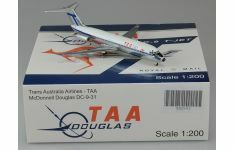 Product Description: Airline: Trans Australia Airlines (TAA) Aircraft Type: Doug.. 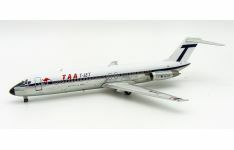 Product Description: Airline: Trans Australia Airlines (TAA) Aircraft Type: Lock..